in the most productive and beneficial way. Our solutions are best suited to individuals with UK pensions with an existing fund value of £30,000 or greater. Whether your existing pension or pensions are company/occupational or personal plans, active or frozen, we can assist in the majority of cases and we charge no up-front fees. To help you take control of your pension savings, growing your retirement fund in the best way possible. To enable you to invest in your own business through your pension. To grow both your pension and your pre-retirement personal wealth. By giving tax relief on pension contributions, the UK system has typically made saving for a pension very easy. However, this relief largely represents a deferred tax, as tax is paid on income in retirement. The disadvantage of the pensions system is the lack of control. Once you have made contributions they remain locked away out of reach, with limited options to draw on them. Most pension savers entrust their hard-earned savings to insurance companies. But if returns disappoint, and funds don't grow as well as needed for a comfortable retirement, pension savers can be left feeling frustrated and trapped. Recent low interest rates have further destroyed the confidence in the pension system amongst both pensioners and pension savers. All of these are hardly incentives to put much effort into saving for retirement, and understandably many have looked for ways to release their fund value through dubious pension liberation schemes, often with dire consequences. 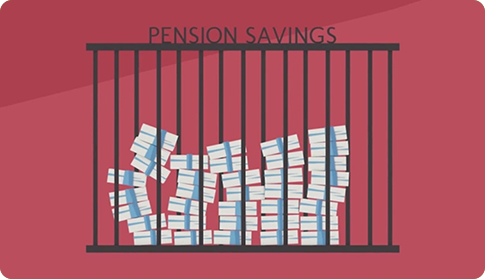 The introduction of "pension freedoms" in 2015 has restored some hope. New legislation allows individuals over the age of 55 to dip into their pension savings at their own discretion, paying the marginal tax rate, removing the annuity trap and providing a renewed incentive for increasing pension contributions. On the other side of the coin, it has perhaps never been more difficult to borrow money from banks in order to finance small business. Despite the continuing increase of the money supply through quantitative easing, somehow businesses and entrepreneurs are still finding it difficult to secure funding. HOW TO MAKE CONTRIBUTIONS COUNT? If it once again makes sense to save for retirement, how can you make those contributions count and not just end up in poorly performing managed funds? An opportunity exists to use under-performing pension savings to grow your own business. 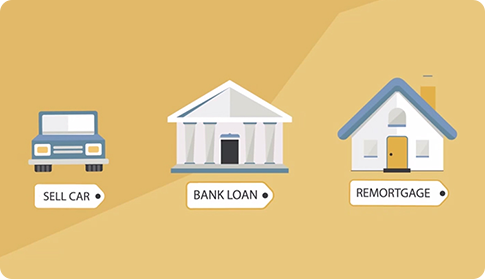 Using existing legislation, it is possible for your own business to take a loan from your pension scheme, using a Small Self-Administered Scheme (SSAS). Our clients may borrow up to 50% of their pension fund value in order to fund their business, at rates much lower than may be found from high street banks. The establishment of a SSAS can only be carried out by an authorised practitioner/pension administrator. Contact Productive Pensions to find out if a SSAS would meet your pension needs. The balance of the fund value will typically be invested into longer-term asset-backed securities, with a small cash balance in order to provide liquidity. We currently have an arrangement with one of the UK's oldest and most respected financial institutions, whereby all of our clients can enjoy access to products normally only accessible to those with £1m+ portfolios. Our fees are £550 to guide you through the process and provide support at various stages. All fees may be deducted from the balance of your pension transfer, so you will receive tax relief on all pension-related charges. Start a live chat now. Click on the right.